Facebook is celebrating its twelfth birthday by creating a virtual holiday called Friends Day and giving its users friendship-themed videos as a gift. Meanwhile, the rest of the world is reminiscing about simpler times ironically over on Twitter. #BeforeFacebookI started trending last night as people on Twitter decided to look back at what life was like before the social network existed. Remember when protecting yourself was as easy as locking the front door or wearing a helmet? 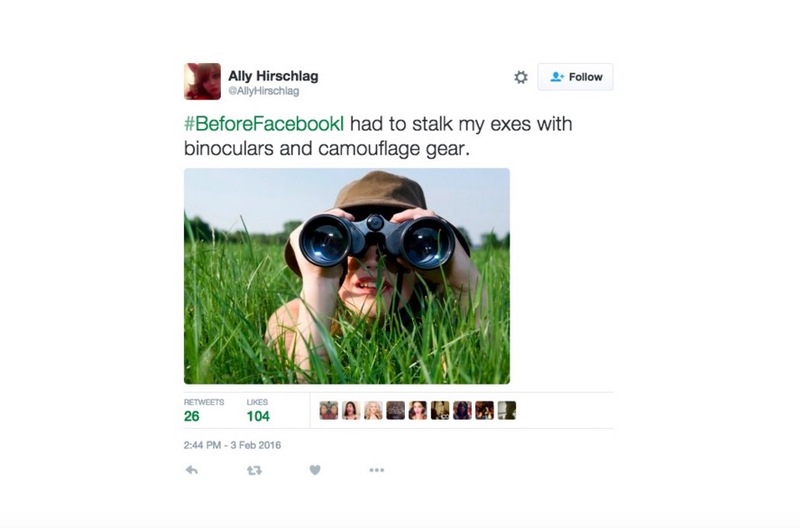 I would say 90 percent of the tweets celebrated how easy Facebook has made stalking. Thank you for that, Mark Zuckerbeg. #BeforeFacebookI could have gotten arrested for "poking" a stranger. It’s true. And we certainly didn’t ask strangers to come and crush candy with us before Facebook either. Ah, sleep. I miss that. What do you miss most about life before Facebook? Tweet us @TheNextWeb and let us know. Don’t forget to Like TNW’s Facebook page while you’re celebrating Friends Day!